GLORI Foundation is re-posting the article on the development of radical Islamic movements in prisons and presenting the informal summary in English. The Russian original is published on Lenta.ru website. The Federal Prison Management Department of Russia invites the religious leaders to collaboratively work on prevention of radicalism and extremism in Russian prisons and detention locations that appear under greater influence of imprisoned Muslims from Uzbekistan, Tajikistan and Kyrgyzstan, whose total number is more than 29K. 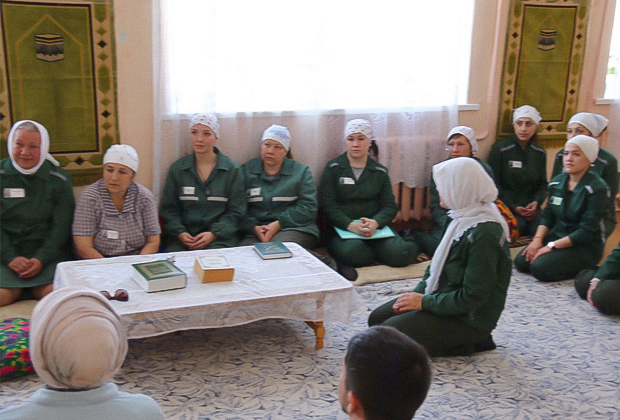 The Prison Management Department officers find themselves not prepared to work with alternative Islamic groups widely spread in Russian prisons, and rely on support of the community-based NGOs who provide services to vulnerable people when they are incarcerated and also after they get released and apply for rehabilitation. Religious education, integration and socialization of prisoners, and collaboration between official religion authorities with communities are proposed to be the most applicable and feasible solutions. The Russian original is published on Lenta.ru website.